Ships today if you order in the next 2 hours 22 minutes. 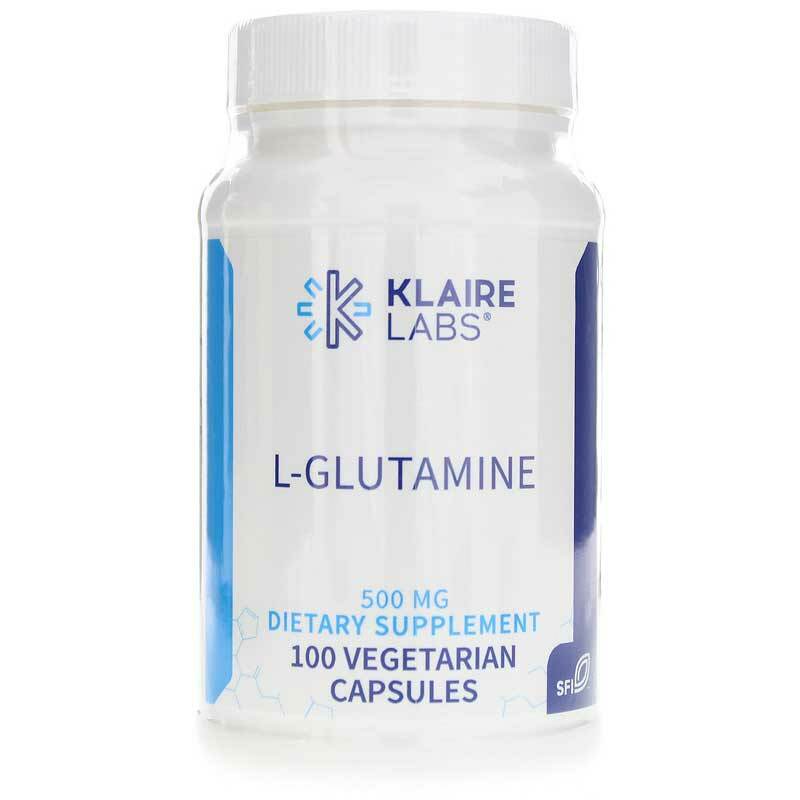 L-Glutamine by Klaire Labs is an amino acid supplement that provides support for muscle and GI function. L-glutamine is a primary energy source for intestinal immune cells and a major amino in muscle tissue. The bodys ability to produce adequate amounts may be compromised during physiological stress, thus warranting supplementation. Contains NO: milk, casein, eggs, fish, shellfish, tree nuts, peanuts, wheat, gluten, corn, yeast, soybeans, artificial colors, flavors or preservatives. Adults: 1 to 4 capsules daily between meals.